Thank you for giving us an opportunity to introduce ourselves. Real estate is about way more than bricks and mortar, Team Fanini believes in building bonds and making dreams a reality for our clients. We take pride in fostering relationships founded on confidence and trust. Our commitment to continued education and to the achievement of our professional designations should assure you of our capabilities. 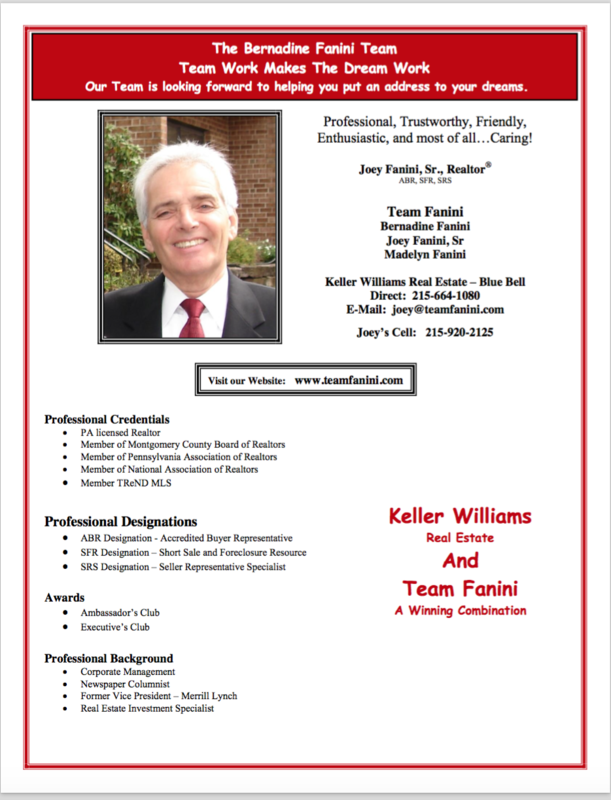 Our team is dedicated to providing outstanding customer service and we are proud to have been multiple year recipients of Philadelphia Magazine’s coveted Five Star Agent Award, recognizing us as one of the Top Realtors in the area. We care deeply about our clients, as we are honored to be a part of their real estate experience. 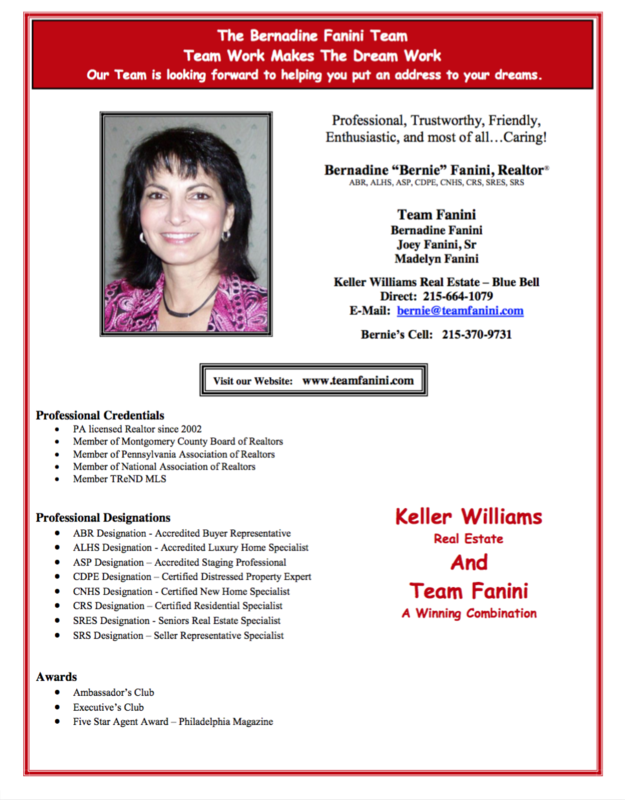 Team Fanini is a dependable resource that will help you put an address to your dreams! Over a decade of work in the field has reaffirmed our philosophy that clients come first! We hope we have the pleasure of accompanying you on your Journey, as Team Fanini helps you meet all your Real Estate needs.